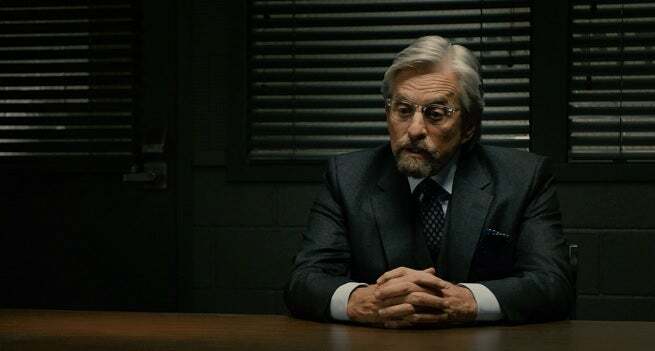 Although Disney-Marvel has been tight-lipped on Ant-Man and The Wasp, director Peyton Reed was clear on his interest in keeping Michael Douglas on as professor Hank Pym. One version of the film had an opening that took place in Panama in 1989, with Ant-Man having his particles replicated by S.H.I.E.L.D. The scene was cut for not being speedy enough. Footage and effects from this scene, where a younger Pym infiltrates a lair beneath a hacienda, can be seen on monitors in Ant-Man itself. Versions of the sequence will be available on the DVD, available on Blu-Ray Tuesday, December 8th. Ant-Man and the Wasp is slated for release July 6, 2018, but Ant-Man will appear in Captain America: Civil War on May 6th 2016 in the United States.